AXONE 5 - easy and complete diagnosis - TEXA S.p.A. The quad-core ARM® Cortex® A9 processor with graphics accelerator provides the tool with computing power and efficiency in resource management. The latest-generation 9.7 inch capacitive touch screen with a resolution of 2048x1536 pixels guarantees ultimate definition and total precision to the touch. Its powerful batteries allow using AXONE 5 for a whole working day (8 hours in typical use). The tool is also equipped with Bluetooth module and high performance Wi-Fi that ensure high-quality connectivity in terms of reception and stability. Robust and practical outside, powerful and intuitive inside. 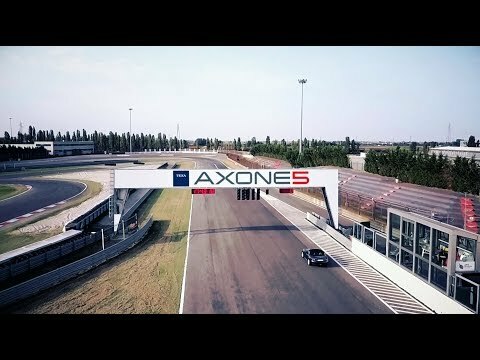 AXONE 5 is the perfect companion for the specialists in the diagnosis of CAR and BIKE. Its exceptional technical features, together with its user friendliness, ensure rapid and effective interventions. AXONE 5 is a trusted companion for the professional that operates in a tough working environment, in mobility and outside. Equipped with an anti-slip surface that makes it steady to handle, it is resistant to shocks and falls. IDC5a PLUS is the evolution of the IDC5 software specifically developed for AXONE 5, to ensure smoothness when usingthe tool, intuitive controls and gestures and the fastest loading speed. AXONE 5 is based on the Android operating system, renowned for its ease of use. The union of AXONE 5 and IDC5a PLUS guarantees the best diagnostic coverage available on the market for the CAR and BIKE environments. Mechanics can use complete support to their repair interventions through a wide archive of technical data and the most advanced diagnostic functions, also thanks to the continuous growth of the TEXA APP offer.